The last people who should compose histories of publishing houses are the people who work in them. Their job requires them to commission, edit, and manufacture books for the profit of their company and only rarely (as with the great Michael Sadleir of Constable) do they have the cast of mind to cope with disinterested historical or bibliographical scholarship. Unsurprisingly they, or any chosen henchman, are likely to interpret events in as favourable a light as possible. 1] Dear Madam (almost certainly): While it is your choice to illustrate five hundred Ladybird cover illustrations for your book we are bound to ask why that number of titles was chosen and what purpose is served by their display? You say that you 'aim to trigger fond memories'(necessarily among a shrinking number of readers) and that part of their pleasure in the collection will derive from your having 'mixed up how the covers are put together on the pages'. While that imprecise hope may be true, we are tempted to suggest first that it is merely an excuse for your not wanting to create a time-consuming rational order, and second that, if you do feel it to be a justifiable proposition, then an extension of the indexes would convert your unedited display into a more positive source of information for your nostalgic readers. The present alphabetic index is useless (how do they know what to look up? ), but a further index by series would bring them covers that can be grouped together while, more important still, indexes of authors and illustrators would honour the creative talents of the Ladybird activists in their varying fields. We would also recommend that you date your illustrations according to the example on show and not by the date of the book's first appearance. Your important first example, Bunnikin's Picnic Party, does not show the 1940 design, which is in the style of your no.245, but shows an alternative c. 1965, and, what's more, one that was probably a re-design of Angusine MacGegor's original picture by another artist. Beaky the Greedy Duck, facing a companion in the same series, is clearly of a revised design which may puzzle alert readers. Nor does your one example from the famous 'Wonk' series allow you to show the change in typograhic setting that each title underwent (Fireworks was the later setting, replacing The Adventures of Wonk). Alas, your one hundred-and-one year old subject deserves a happier birthday prsent than this all-too casual a compendium. 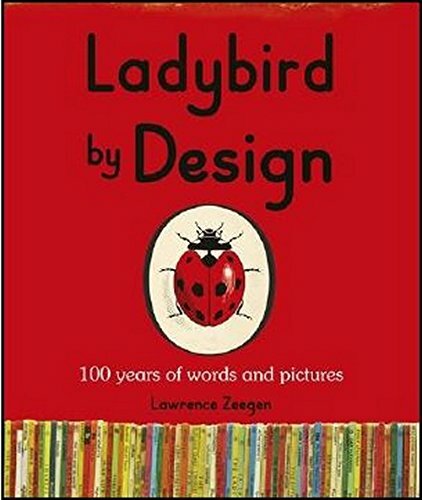 2] Dear Professor Zeegen (or in some quarters Zeegan): Your draft for a celebratory volume for the 2014 centenary celebration of Ladybird Books is intended also, we believe, as a handbook for the exhibition of the same title at the De La Warr Pavilion in Bexhill-on-Sea. We find it a pity therefore that there is ambivalence in the crucial matter of dates [as noted in our preamble above]. We would note however that the picture on the cover of the first book (which is probably by Mary Faith) shows Andersen's wild swans, not crowned geese. Furthermore, the ten early books that you date to c.1915 appeared at various dates up to about 1937, while your coverage of the authorship of the first series after 1940 is also defective. These correctable errors lead us to suggest that a thorough check of all statements of fact is needed before publication. Were, for instance, all the thirty-six titles of the Keyword Reading Scheme 'stored in stockrooms till the full scheme was available to sell' (a ridiculous notion contradicted by the compamy's adverts)? Or, into just how many languages were Ladybird titles translated? (You say variously thirty, sixty, or seventy, when the probable number down to 1973 is less than forty ). As a scholar you would surely agree also to the enhancing of the authority of your work by sourcing illustrations other than those from the books themselves, together with providing a bibliography of the sources you have called upon for your investigations. 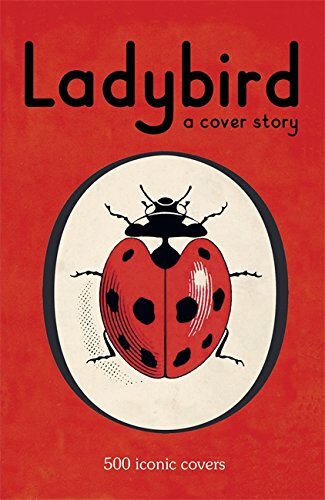 In conclusion may we say that we find it puzzling that Ladybird by Design suffers itself from a singularly inadequate design. The book is planned to have 256 pages, but of these 144 are devoted entirely to full-page illustrations, whose function it is left to the reader to discern. In addition, many of the remaining pages also carry a considerable cargo of graphic display so that your own text rambles about among an archipelago of pictures. That might be supportable except that you do not have a consistently pursued theme. Each little chapterlet treats of a separate subject, often interspersed with a little biography, usually of an illustrator. (And why, we wonder, is no mention made anywhere of the two most original – and much appreciated – series, the stories about Wonk and of Tasseltip?) The chapterlets rarely relate to each other (diagrams and infographics on page 151 are separated by forty-seven pages from a piece on B.H.Robinson's command of their illustration, while what one would take to be a central point about Wills & Hepworth's managing of the design and technology of their gigantic graphic operation is scattered through the book in disorderly fashion. To your credit, you have gone beyond thin description and what can only call social blather in your accounts of Douglas Keen's work or in the design changes effected after 1973 when Pearson-Longman took over but these tend to be lost in the muddle.